In the United States, Texas is a leader in energy production, but is also a leader in energy consumption. You can help lower Texas’ energy consumption by reducing your monthly kWh used by your HVAC, hot water heater and household appliances. By simply practicing and implementing these 9 tips, you can reduce your kWh usage and save some money each month. Save yourself some money by lowering your average kWh per month. The weather and your windows can be a huge help in saving money and lowering your average usage. If it is hot outside, close your curtains during the day and open them at night. This will prevent the heat from the sun from entering your home during sunny, warm days and will reduce excess warmth in your home when the air conditioning is on. If it is colder outside, open your curtains during the day to allow sunlight in and add some extra heat to your home, reducing work for your heater. By using the weather to your advantage, your windows can add or prevent heat from entering your home and help to lower the average monthly kWh used on heating and cooling each month. It is no secret that AC uses a lot of energy. When it is warm outside, you may be using your air conditioning more than you need to. The next time the temperature rises, consider using fans to help cool you down instead of your AC. Better yet, open your windows on breezy days to take advantage of the natural air circulation. Making this change can also reduce the amount of average monthly kwh your HVAC system uses on a monthly basis. On those hot and humid days you may feel it is impossible to escape the heat without cranking your AC. The next time the humidity rises and your home is in need of some cool air, try using a dehumidifier to cool off the rooms in your home. A dehumidifier will take the thick, sticky air out of your home and give your family some relief from the heat without having to lower your AC. As your dehumidifier works to reduce the humid air in your home, you can rely a little less on your AC to save a few bucks. At the beginning of each new season, you should check your home for cracks and leaks to prevent warm and cold air from leaving your home. If your home has leaks and cracks, even if they are small, you are losing energy and wasting money. Whether it is in the middle of the summer or the dead of winter, you want to keep your home as tightly-sealed as possible. Sealing off cracks and leaks will ensure your AC and heating systems are working to its full potential and your money is not leaking out of your home. Hot water heaters consume a hefty amount of energy throughout the day. With many hot showers being taken each day, your water heater is in constant use and costing you money. An on-demand system allows your hot water tank to automatically heat, reducing the cost of each hot shower in your home. This system eliminates the cost of having to pay to reheat the water in your water tank. Since your water tank does not have to work as hard or long to provide hot water for showers, your kWh will lower and you will have some extra cash left in your pocket at the end of the month. There are many helpful online how-to’s for creating a solar preheater. The overall purpose for DIY solar preheaters is to utilize the sun in heating your water before it enters your water tank. The heat provided from the sun gives some relief to your water heater, while reducing the energy required to heat water for your home. The less your water tank has to work to heat water, the lower your average monthly kwh will be. Washing dishes typically uses a lot of water on a daily basis. But it does not have to be that way. To conserve water, either plug your sink or grab a large bowl or tupperware container and fill it with warm water and dish soap. By creating a pool of water to use to wash your dishes, you are eliminating the constant use for a running faucet and instead only have to use the faucet to rinse your dishes. Using less water for your dishes, especially less hot water, saves you from wasting money on heating water. It is the small, daily things like washing dishes that can really help to reduce your average kWh usage each month. There is a wide variety of light bulbs available today, but some reduce energy consumption and cost better than others. For example, incandescent light bulbs are an older light bulb that costs more to use than more modern and efficient compact fluorescent lamps (CFL). Switching out your home’s incandescent light bulbs for CFL bulbs will give you the same amount of light but cut the cost of electricity. This can lower the average monthly kWh used on lighting in your home each month. A sunny, warm day is the perfect opportunity to dry your clothing the natural way. Let nature lend a helping hand on warm, breezy days and give your dryer the day off. You will save some money, help the environment and lower your kWh. 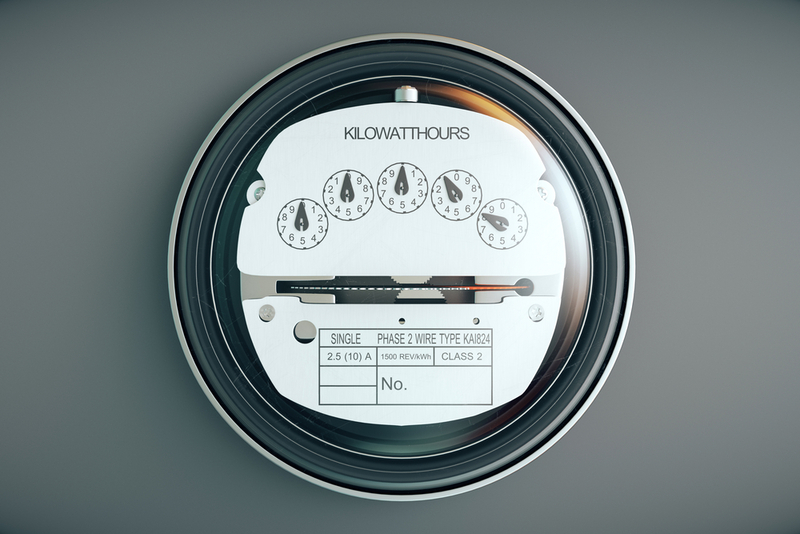 Have you already tried some of these tips to lower your monthly kWh in the past?